Want to hear some great news? 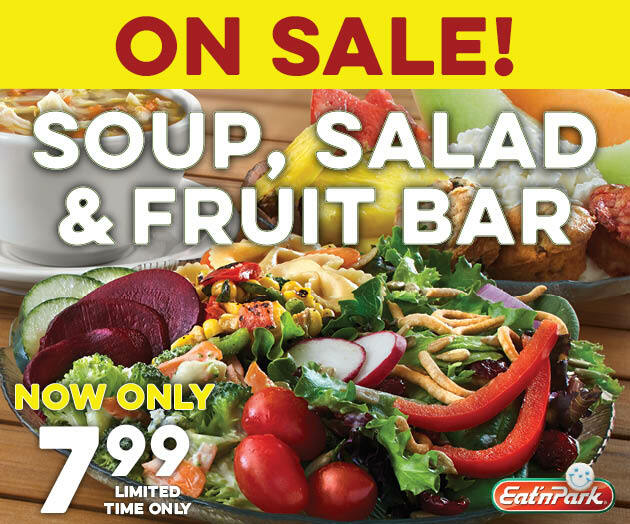 Our Soup, Salad & Fruit Bar is on sale! 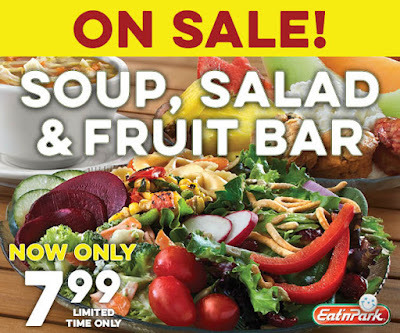 For a limited time only, you can enjoy our famous salad bar, filled with fresh and local vegetables, for only $7.99! Click here to see the full list of what’s local on our Soup, Salad & Fruit Bar this week. Hurry in because this offer ends August 31st! Offer expires August 31, 2016. Bring back hard boiled eggs to the salad bar! Please!!?? The soup, salad, and fruit bar is almost always satisfying. I wish that once in awhile Mac N cheese (comfort food) could be found there...particularly on Fridays. Also, I miss the 3-offering hot bar which used to be featured. It would also be nice to see more nuts in the bar. Thank you for your comments and ideas! We'll make sure to pass them along to our menu development team! What happened to the buttered biscuits on the salad Bar? You need to have another fat free or low calorie dressing besides French. Ranch or Italian? I would eat salads there more often if you did!